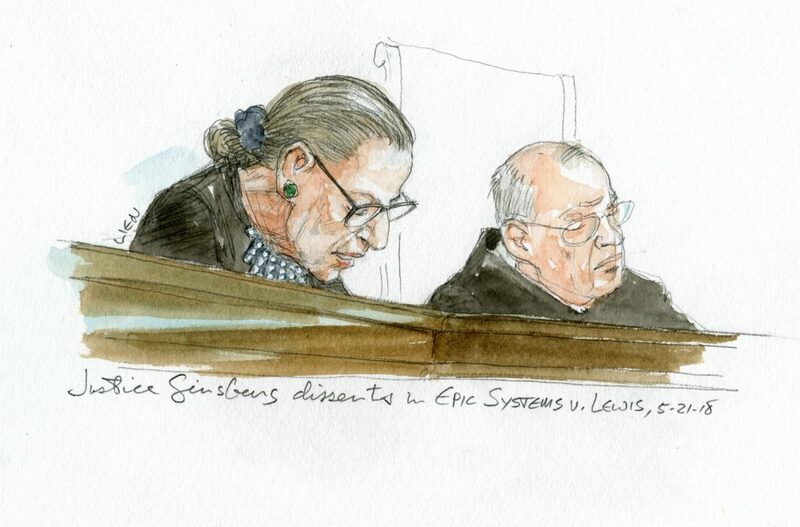 Courtroom sketch of Justice Ginsburg’s dissent in Epic Systems Corp. v. Lewis, May 21, 2018. Shana Knizhnik’s “Notorious RBG”—first a Tumblr, then a meme, then a book—is now an exhibit at the Skirball Center. Notorious RBG: The Life and Times of Ruth Bader Ginsburg opens October 19 and runs through March 10, 2019. The Birth of a Meme: In 2013 the Supreme Court made some landmark decisions that did not sit well with Justice Ruth Bader Ginsburg. Inspired by Ginsburg’s record number of oral dissents, Knizhnik started a Tumblr called Notorious R.B.G. Then the internet did what it does best: It exploded. The Phenomenon: The meme inspired T-shirts, tattoos, toys, and more. 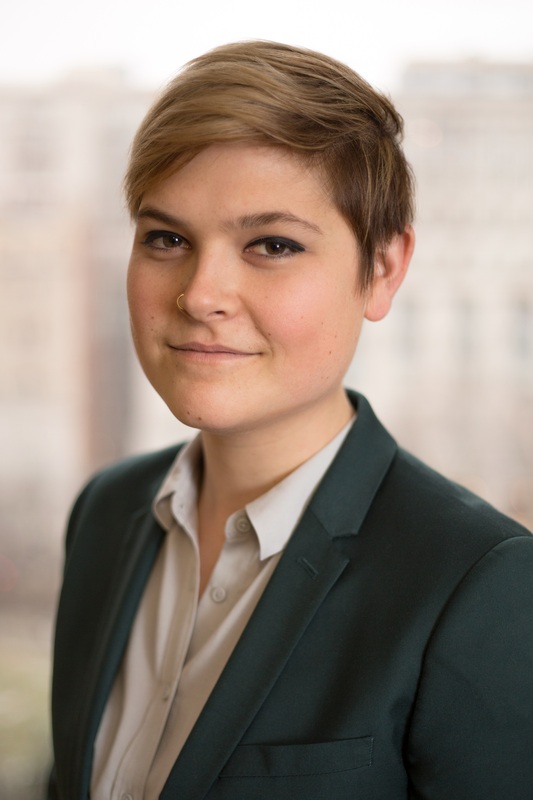 In 2015 Knizhnik and journalist Irin Carmon spun it into a New York Times best-seller with an assist from RBG herself. The Exhibition: The book lays the foundation for the Skirball show, but there are also archival documents and photos, clips from the 2018 documentary RBG, and a jabot, or collar, from Ginsburg’s wardrobe.